There isn’t another night of the year in Montreal, or the world, that has more pressure on its shoulders to be the biggest night of the year. On New Year’s Eve in the city, hundreds of thousands of people will be out on the town, dressed to impress and looking for that special kiss when the clock strikes midnight. 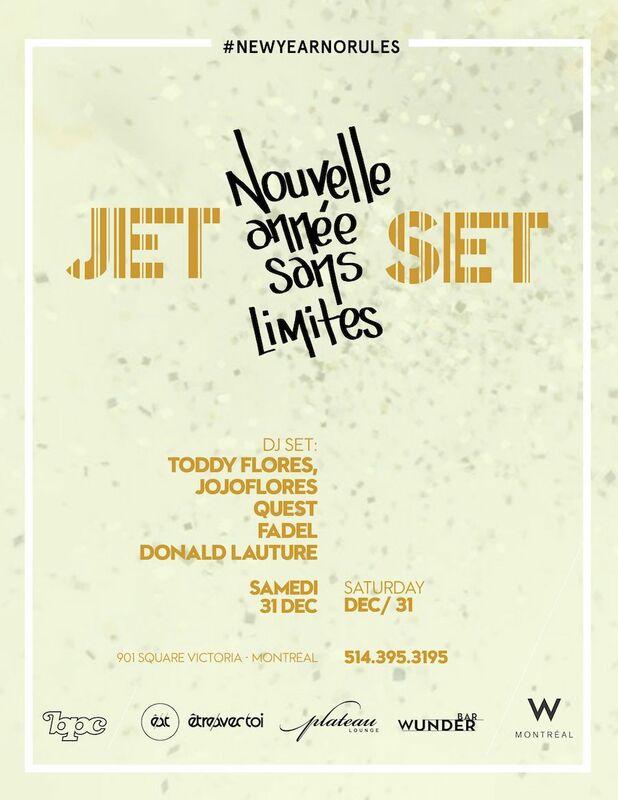 Luckily Montreal is more than prepared to deliver an excellent New Year’s Eve with these not-to-be-missed-parties! 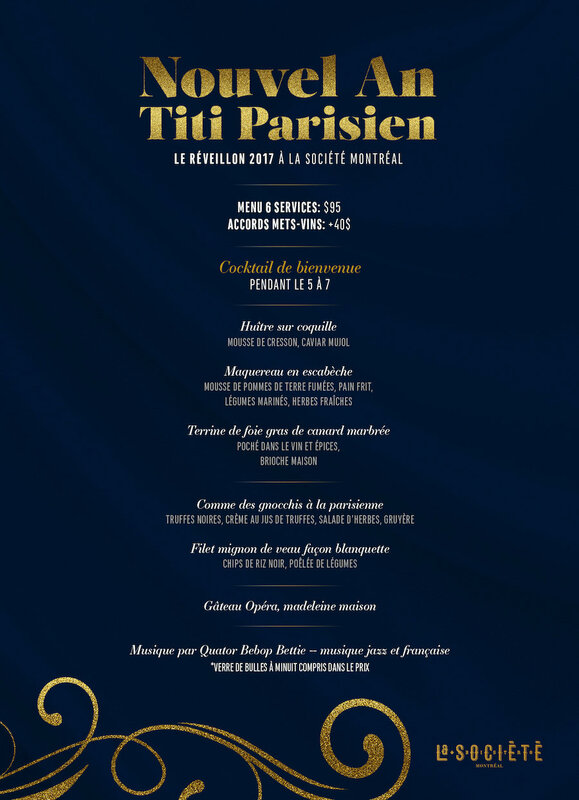 7:00pm Gastronomic Dinner (check out the full menu here, it looks good! ), $165.00 per person. 10:00pm Soirée only; $40 per person. É.A.T. 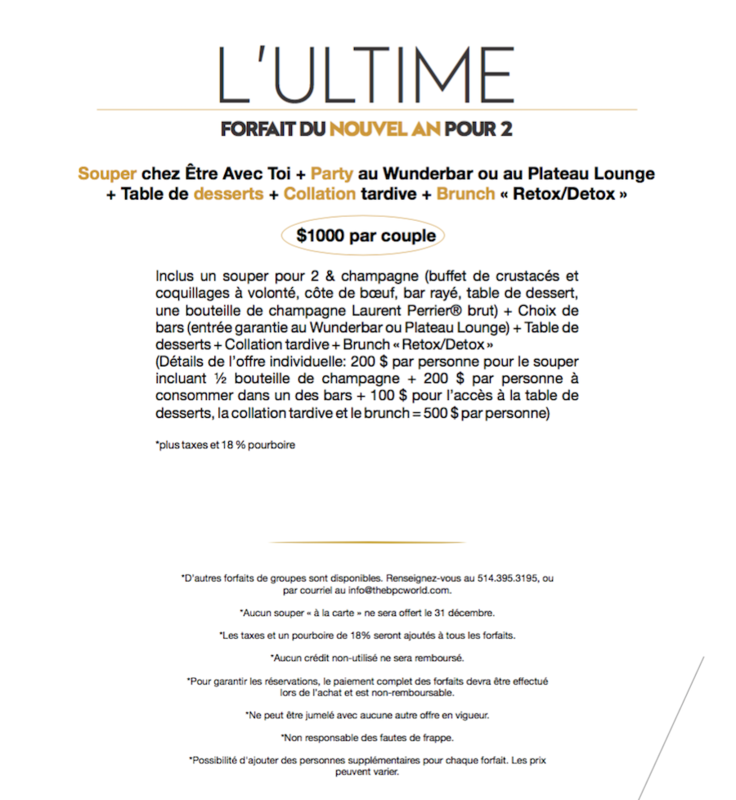 : L’Ultime – All you can eat wet bar, cote de boeuf, stripped bass, dessert table + access to your choice of Wunderbar or Plateau Lounge, late-night snack table and access to detox/retox brunch; $1000.00 per couple. 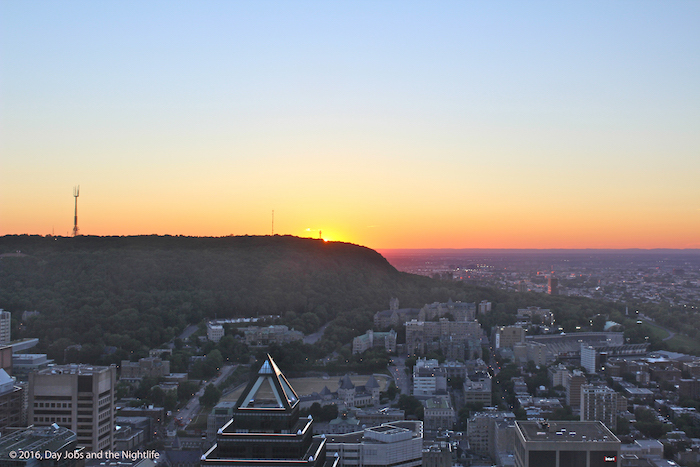 At Les Enfants Terribles: From 8:00pm – 4 course meal $75 per person – excellent view of the city!! 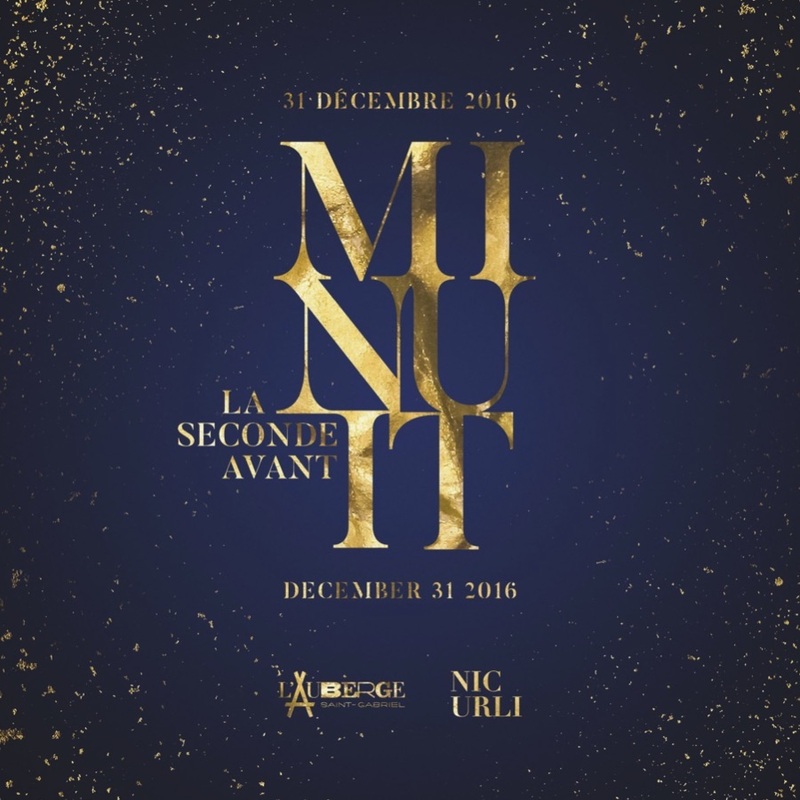 Au Sommet: Enjoy surprises, champagne and chocolate from 10:00pm white counting down to the 2017 from high atop the 360 degree observation deck on the roof of Place Ville Marie. A DJ will keep you moving while the awesome view of the city will take your breath away. Tickets are $40 and going fast. 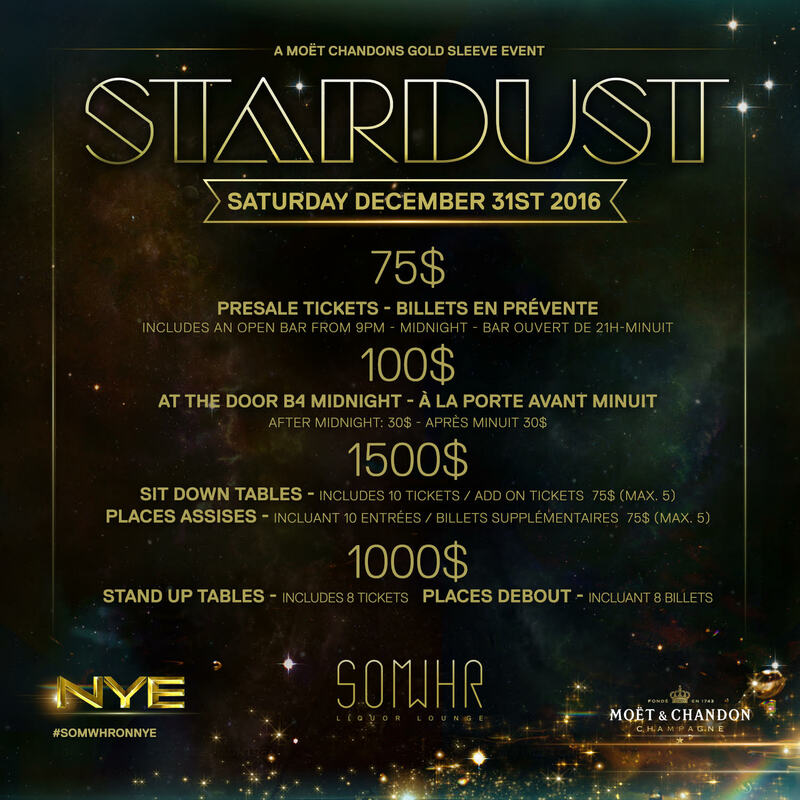 From 9:00pm and starting at $75 per person (presale – $100 at the door before midnight – $30 after midnight), open bar from 9:00pm to midnight; Sit down tables, $1500 (for 10 tickets); Stand up tables, $1000 (for 8 tickets). 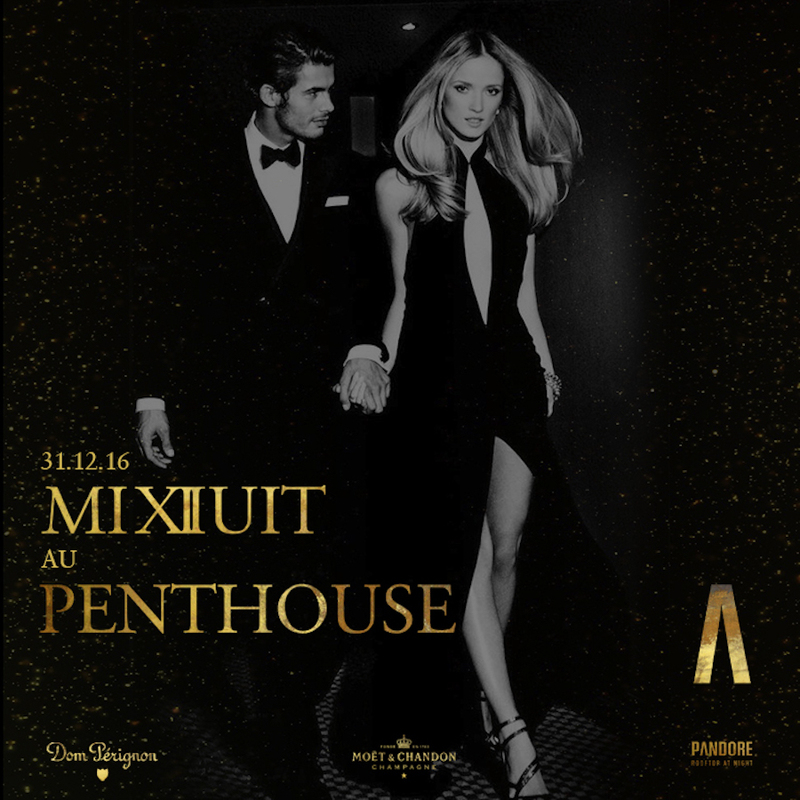 From 9:00pm to 11:00pm, dinner, open bar and champagne tower; $90-120 per person. Bottle service starting at 11pm; Evening tickets $40 per person.